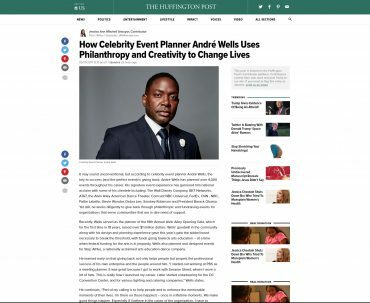 It may sound unconventional, but according to celebrity event planner André Wells, the key to success (and the perfect event) is giving back. 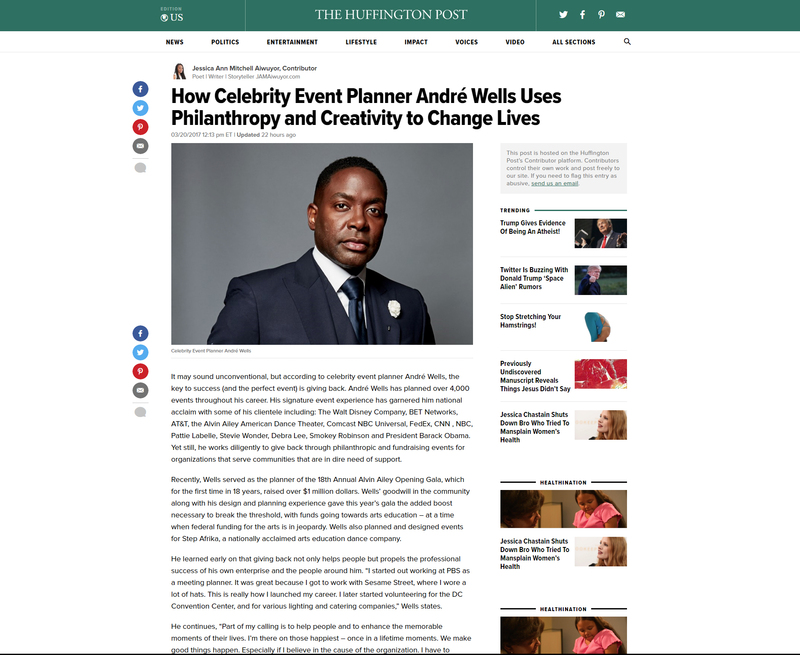 André Wells has planned over 4,000 events throughout his career. His signature event experience has garnered him national acclaim with some of his clientele including: The Walt Disney Company, BET Networks, AT&T, the Alvin Ailey American Dance Theater, Comcast NBC Universal, FedEx, CNN , NBC, Pattie Labelle, Stevie Wonder, Debra Lee, Smokey Robinson and President Barack Obama. Yet still, he works diligently to give back through philanthropic and fundraising events for organizations that serve communities that are in dire need of support.